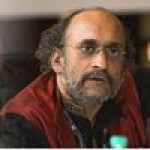 Paranjoy Guha Thakurta is an independent journalist and an educator. His work experience, spanning over 36 years, cuts across different media: print, radio, television and documentary cinema. He is a writer, speaker, anchor, interviewer, teacher and commentator in three languages: English, Bengali and Hindi. His main areas of interest are the working of the political economy and the media in India and the world, on which he has authored/co-authored books and directed/produced documentary films. He teaches and speaks on these subjects to students, general audiences and also trains aspiring – and working -- media professionals. He participates frequently in, and organizes, seminars/conferences, He is a regular contributor to newspapers, magazines and websites. He is featured regularly on television channels and radio programmes as an anchor as well as an analyst and commentator. Born on October 5, 1955 and educated at St. Stephen’s College, University of Delhi (1972-75) and at the Delhi School of Economics (1975-77) in the same university from where he obtained his Master’s degree in economics, he started his career as a journalist in June 1977 and has been employed with various media organizations including companies bringing out publications such as Business India, BusinessWorld, The Telegraph, India Today and The Pioneer. He worked with Television Eighteen (now Network 18) for almost six years between 1995 and 2001 when he anchored a daily discussion programme called “India Talks” on the CNBC-India television channel -- nearly 1,400 half-hour episodes of which programme were broadcast. From March 2007, he has been anchoring two one-hour-long weekly programmes for Lok Sabha Television (the channel owned and operated by the lower house of the Parliament of India) – a panel discussion called “Talktime” (earlier “Headstart”) and an interview programme called “1-on-One”. He has anchored programmes for other television channels. He is (or has been) a visiting faculty member at reputed educational institutions including the Indian Institutes of Management at Ahmedabad, Kolkata, Bangalore and Shillong, Jawaharlal Nehru University, Jamia Millia Islamia, Jamia Hamdard University (all in Delhi), the Asian College of Journalism, Chennai, the Indian Institute of Technology, Kanpur, the Film & Television Institute of India, Pune, the Lal Bahadur Shastri National Academy of Administration, Mussoorie and the Indian Institute of Foreign Trade, New Delhi, among others. 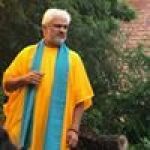 He has been a visiting professor in the Department of Political Science, Faculty of Social Sciences, University of Delhi, between 2010 and 2013 teaching M.Phil students and a visiting scholar in residence at the Visva Bharati University, Santiniketan. He served as a member of the Press Council of India nominated by the University Grants Commission between January 2008 and January 2011. In April 2010, as a member of a two-member sub-committee of the Council, he co-authored a 36,000-word report entitled “Paid News: How corruption in the Indian media undermines democracy”. He is a media trainer and a consultant/adviser on India’s political economy. He was the founder director of the School of Convergence (SoC). 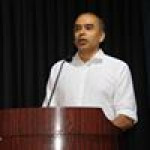 He has been a consultant at the Institute of South Asian Studies, National University of Singapore, making presentations and writing papers on Indian politics. He has been associated with a number of projects of the United Nations Development Programme and the International Labour Organization (ILO). He has moderated discussions at the International Labour Conference at Geneva, Switzerland, in June 2009 and at the ILO’s Asia Pactific Regional Meeting in Kyoto, Japan, in December 2011. He served for two years (2011-13) as president of the Foundation for Media Professionals, an independent, not-for-profit organization based in Delhi. He is a member of the managing committee of the Media Foundation of India that runs the website, the hoot.org, which critiques the media. He has been a consulting editor of thehoot.org and written a series of articles for the website on media ownership in India. He is a member of the governing council of Common Cause, a civil society organization engaged in public interest litigation, among other activities related to redressing public grievances. He has advised various organizations, including corporate bodies (Indian, foreign and multinational), government agencies (including India’s Ministry of Information & Broadcasting) and civil society organizations. He is a director/producer of documentary films. “Idiot Box or Window of Hope”, which examines the impact of television on Indian society, was produced by the Public Service Broadcasting Trust (PSBT) in 2003 and broadcast on Doordarshan, India's public broadcaster. In 2006-07, he produced and directed a five-part documentary series in partnership with the PSBT entitled: “Hot As Hell: A Profile of Dhanbad”, different versions of which have been shown on various television channels including Doordarshan and NDTV 24x7. 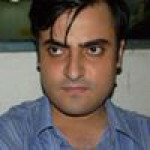 In 2007, he directed a documentary film “Grabbing Eyeballs: What’s Unethical About Television News in India” for PSBT that was followed up by another film entitled “Advertorial: Selling News or Products?” in 2009. In 2010, he produced and directed a three-part documentary film series entitled “Blood & Iron: A Story of the Convergence of Crime, Business and Politics in Southern India” on the political, economic and ecological consequences of iron ore mining in Bellary (Karnataka) and Ananthapur (Andhra Pradesh). The film has been translated into six Indian languages and various versions of the film have been broadcast on different television channels. In 2011, he produced and directed a documentary film entitled: “The Great Indian Telecom Robbery”. (He was one of the first journalists to write about the telecommunications spectrum scandal in November 2007 and was one of the petitioners in public-interest litigation on the subject in the Supreme Court of India.) In 2012, he co-directed a film entitled “Freedom Song” for PSBT that examines issues relating to freedom of expression in a contemporary Indian context. In April 2013, he produced and directed "Coal Curse: A documentary on the political economy of coal energy in India" supported by Greenpeace, a short version of which was broadcast on the "Headlines Today" television channel. The full 45-minute versions of the film in English and Hindi are available for viewing on Youtube. In 2013, he was executive producer of a documentary film, "Caught in Crossfire", on the impact of left-wing extremism on children, produced by Save the Children. The same year he produced and directed "In the Heart of Our Darkness: The Life and Death of Mahendra Karma", a controversial tribal leader from southern Chhattisgarh, a short version of which was broadcast on NDTV24X7. In November 2013, he completed producing and directing a documentary titled "A Thin Dividing Line" that examines the working of tax havens in the context of the double taxation avoidance treaty between India and Mauritius. The film was supported by the Centre for Budget and Governance Accountability and Christian Aid. He has produced/directed a number of other documentary films. He has co-authored a book with Shankar Raghuraman entitled: “A Time of Coalitions: Divided We Stand”, published by Sage Publications India in March 2004. The book was able to anticipate the outcome of the 14th general elections in India, the results for which came out in May that year. A substantially revised, updated and enlarged version of the book titled “Divided We Stand: India in a Time of Coalitions” was published in December 2007. He has written “Media Ethics: Truth, Fairness and Objectivity, Making and Breaking News” published by Oxford University Press India in March 2009 – the second enlarged edition of the book was published in December 2011. In April 2014, he wrote and published "Gas Wars: Crony Capitalism and the Ambanis" with Subir Ghosh and Jyotirmoy Chaudhuri. He has contributed articles and chapters to books (including “Realizing Brand India” edited by Sharif D. Rangnekar [Rupa, 2005], “India: The Political Economy of Reforms” edited by Bibek Debroy & Rahul Mukherji [Bookwell, 2004]) and "Journalism: Ethics and Responsibilities": edited by Seema Mustafa [Har Anand, 2013]. He is currently engaged in authoring/co-authoring/editing other books and producing/directing documentary films. He has travelled widely in India and across the world. He is a partner of Media Network of India, a firm engaged in designing and creation of content for all media, contract publishing, training of media personnel, establishment of radio stations and other consulting assignments in the media. 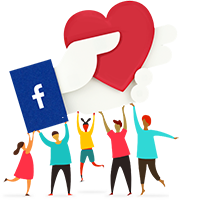 Feel free to ask Paranjoy Guha Thakurta for a new update on this Fundraiser. This is because of you. Your belief in me and support you gave me. Thanks to your support I am able to continue doing work which invokes transparency, helps build a strong, vibrant democracy and hold those in power accountable. Internal documents of the Income Tax Department relating to an investigation into the assets held in various offshore accounts by Indians tell an amazingly convoluted story of how the late Dhirubhai Ambani’s international personal investments were channeled into a complex corporate structure involving holding companies located in multiple tax haven jurisdictions and bank accounts in Switzerland, following his death on July 6, 2002. This structure allegedly sought to stash more than ₹2,100 crore away from the gaze of the country’s tax authorities in accounts in a Geneva branch of the HSBC Bank. Thanks a lot for your generous contributions. This is the 1st output of your love and support. What was Modi’s pride became Gujarat’s embarrassment and India’s shame. Is this what the Gujarat model of development is all about? Or is it all a grand illusion? Just a few years back, our newspapers were filled with news about scams. In particular, politicians, bureaucrats and top officers of India's largest companies were jailed and news companies spent months and years discussing crony capitalism and sweetheart deals. Suddenly, are all the big companies playing by the rule book? Has corruption really ended in India? If your answer is yes, you can stop reading the piece and exit. Among many factors, the most visible difference between then and now is the state of the media in the country. Most media houses now are either owned or controlled by those who are direct beneficiaries of this crony business culture. That basically means they control what is reported... and they control what we read, what we hear and watch! It's a challenge that is thrown at us - the citizens. Will we let them exploit our resources to fill up their coffers, or will we fight back by funding investigations that speak truth to those in power? 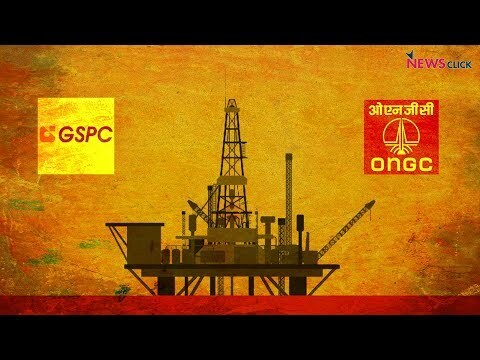 Senior Journalist Paranjoy Guha Thakurta has been leading the attack against cronyism with his fearless reports on the businesses headed by Mr Mukesh Ambani and Mr Gautam Adani. His book Gas Wars - Crony Capitalism and the Ambanis has been an authoritative documentation of how natural resources were exploited for private profits. Of course this attracted legal proceedings and censorship attempts. Paranjoy Guha Thakurta's work experience, spanning over four decades, cuts across different media: print, radio, television and documentary cinema. He is a writer, speaker, anchor, interviewer, teacher and commentator in three languages: English, Bangla and Hindi. His main areas of interest are the working of the political economy and the media in India and the world, on which he has authored/co-authored books and directed/produced documentary films. 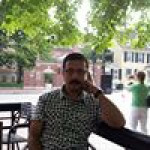 He is a regular contributor to publications and websites and frequently appears on the radio and on television channels as an anchor as well as an analyst. Paranjoy served as Editor of the Economic and Political Weekly from April 4, 2016 to July 18, 2017. Your message will be directly emailed to Paranjoy Guha Thakurta and you will receive his/her response on the email address entered below.